[Dispose of Old Cell Phones] What to Do with Old Cell Phones? Home> Resource> Phone/Data Clean> [Dispose of Old Cell Phones] What to Do with Old Cell Phones? The new iPhone XS, XS Max and XR have been released recently, which has set off a wave of changing mobile phone. And speaking of switching mobile phone, most users know that they need to backup the data on old iPhone or Android phone and transfer the data to new iPhone. But fewer users know how to deal with their old cell phones. Don't worry! This tutorial will detailedly tell you what to do with old cell phones. - Alarm clock: Every smart phone equips the "Alarm clock" function, so here you can choose to set up your old phone as an alarm clock instead of buying a new one. Compared with the traditional alarm clock, you can set several alarm on the device at once and select the wanted songs as alarm sound. - Camera: If the pixel of your mobile phone is high, you can consider to using the device as a camera. In this way, you can shoot all your favorite scenery, people or things without any scruples. Meanwhile, you can reduce the burden of the new mobile phone - no photos will take up the space. - Music player: For those who like to listen to music, an old mobile phone can be a good music player. To use the old phone as music player, users do not need to find, download or transfer the songs from old device to the new one, which can greatly save their time. And also, the free space of the old device is larger than before, that means you can download more songs to the device. - Remote control: Most people don't know that some smart phones can be universal remotes actually. So if you need a universal remote, you try to turn your old phone into a remote control with the help of some applications. - GPS: Why not connect your old phone to your car and use it as a GPS while driving? This can save the battery of your actual phone when you go out. - Emergency phone: Maybe the device is too old to work smoothly, but it must allow you to connect to 911. Hence, you can place your old device in certain locations like car, kitchen, or other places and use it as an emergency phone. - Amazon: Amazon has a Trade-in Program, which allows people to trade in eligible items like old phones, video games, Kindle E-readers, books and more for an Amazon.com gift card. - eBay: Another popular platform is eBay. You can list your old phone on this platform and sell it to others. But here you should know that eBay charges 10% of final value as a sales fee. - Carrier Buyback: Some carriers also provide buyback programs for your old phones to be refurbished, resold, or recycled properly, such as Sprint. Want to know more places for selling old mobile phones? Just go to the page "Best Places to Sell Your Old/Used iPhone". None of the above options suits your requirement and you decide to directly throw it in a trash can? This is not suggested since it is dangerous if you do not deal with the toxic materials properly. If you do not know how to deal with the electronics, you can check with your cell carrier and local municipalities for e-waste recycling programs or find a responsible recycler to recycle your device. No matter you want to sell, donate or throw away your old device, there is one thing you need to do - protect your privacy. Here, a privacy protection does not mean an easy deletion. As we all know, there are many recovery tools that enables people to restore the lost or deleted files from devices now. Therefore, to ensure that no one can steal your personal information in any way, you need to thoroughly erase and overwrite the data on your old device. Then how? In this case, you need to turn to a professional eraser program. For iPhone users, you can elect MobiKin Eraser for iOS. 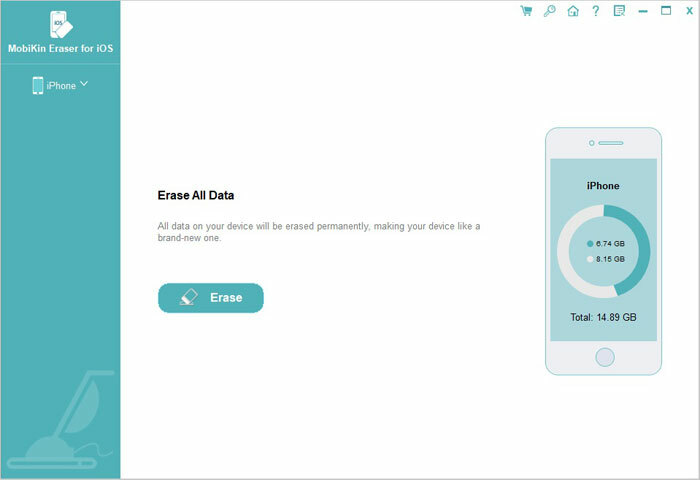 This is one of the top eraser programs that provides you the functions to erase the existing and deleted files, system settings, private data and other files on iOS device. 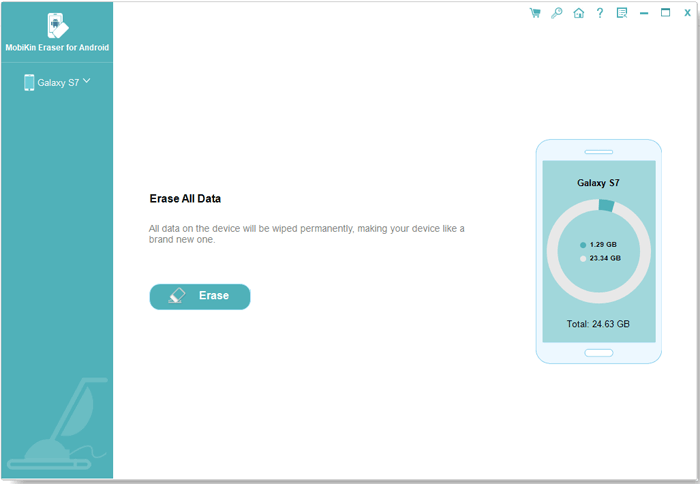 After the erasure, all the removed data will be unrecoverable so you do not need to worry about the data loss anymore. Now let's see how to use the program. - Download and install the program on your computer by clicking the blue icon below and then launch the software. 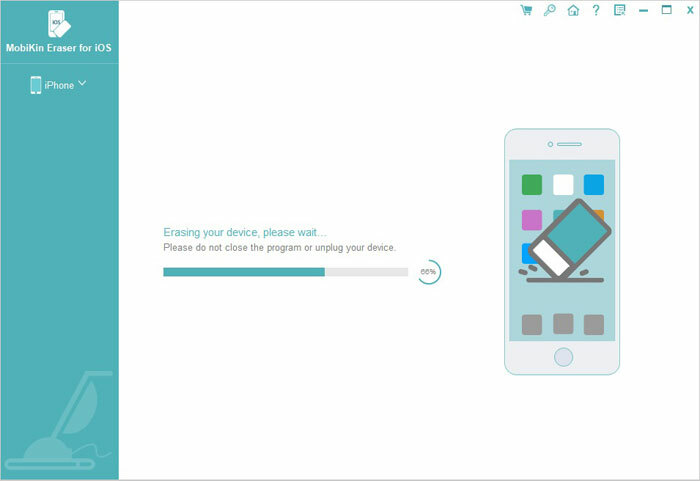 - After opening the tool, you need to connect your iPhone to computer via USB cable and go with the onscreen prompts to make your device be recognized. - Tap on "Medium" to select a security level and click on "OK" to confirm your option. - Type in "delete" in the input box and hit the "Erase" button on the "Erase All Data" page. - Then the software will begin to erase your iPhone. And it will go on to reboot or overwrite your device when the erasure ends. For Android phone users, you can choose a software called Android Data Eraser. 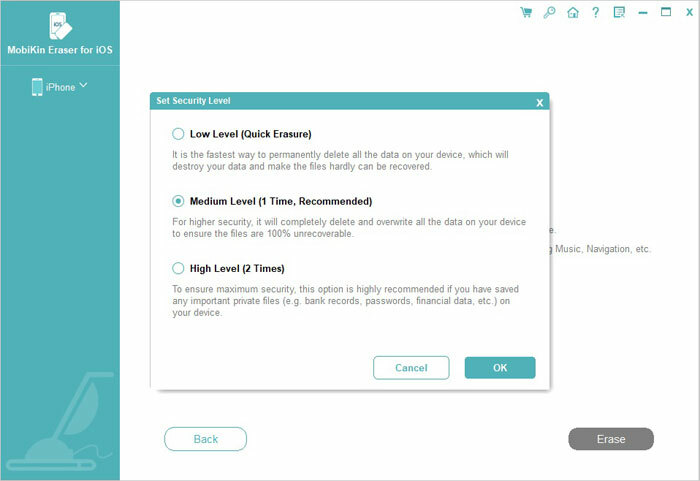 It is a powerful software to erase all personal information from Android devices permanently, including photos, videos, contacts, text messages, call logs and so on. 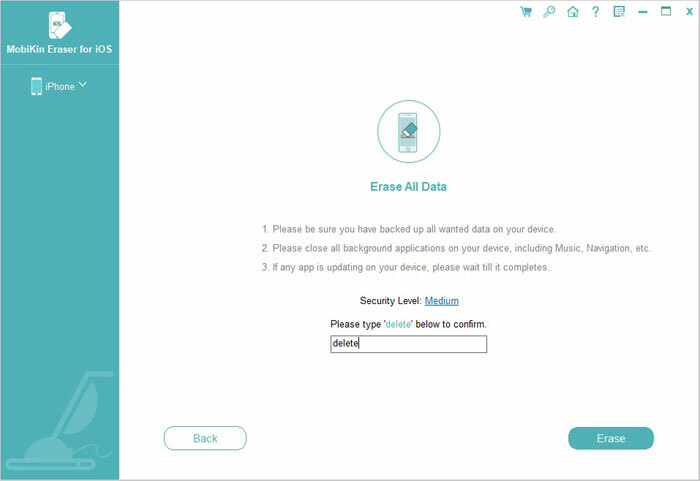 In addition, it also provides you with 3 different erasing levels to wipe the phone data. 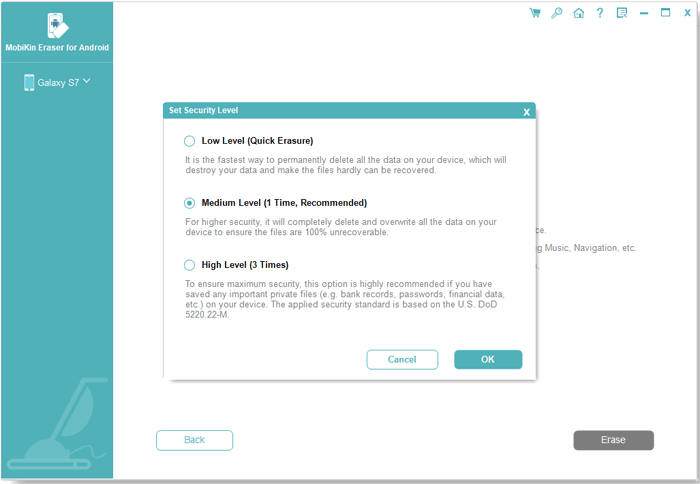 The followings are the steps to wipe off Android data with this program. - Download, install and launch the program on your computer. 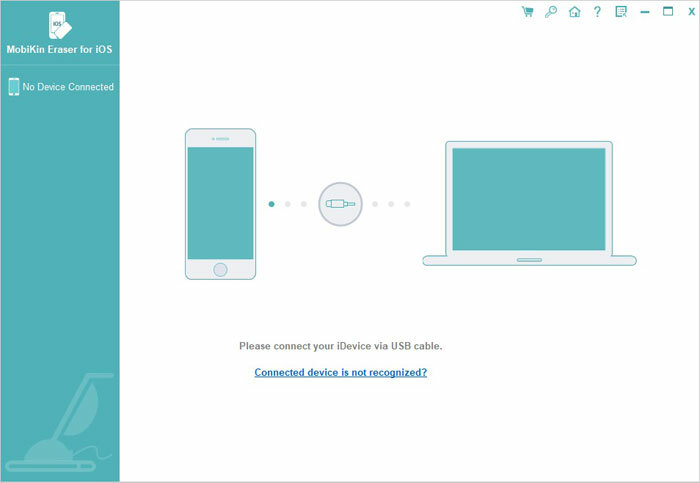 - Use a USB cable to connect your Android phone to computer and the tool will automatically detect the connected device. - Choose "Erase All Data" mode and tap on the "Erase Now" button. - Enter "delete" on the program and it will start the erasing process. That's all for what to do with old cell phones. No matter which way you choose to handle your old cell phone, please remember to back up the important files on your old phone and then completely erase them.